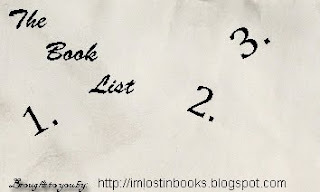 A Literary Odyssey: Book List Meme: March 23, 2010. Okay, it is time for a weekly book Meme hosted by Rebecca at Lost in Books. Each week a topic is posted that must be answered by the titles and pictures of 3 books. This series pretty much defined my childhood. My grandma had the series that my aunts read when they were little girls in her basement. One weekend when I was over, I found them and asked if I could read them. I was hooked. I read the entire series in a week, then I reread them, and reread them. I loved them, and I still do. It has been quite a few years since I last read them, but I am definitely going to in the near future! A couple of my cousins who were older then me were hooked on The Babysitter's Club growing up. At the time, I was maybe 6 or 7, so the main series didn't appeal to me yet. Imagine how excited I was when the Little Sister series came out. I loved it. I owned quite a few of these and like many of the other books of my youth, I read them over and over again. After I first learned how to read, this book was the one that came with me everywhere. 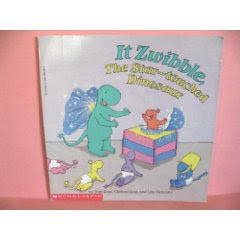 It is about a dinosaur fairy who is sent to Earth to save the baby dinosaur eggs from destruction. Once there, he has to find others to help him save the babies. I loved the illustrations, message, and character. Unfortunately it is out of print, but I still have my childhood copy. Little House! 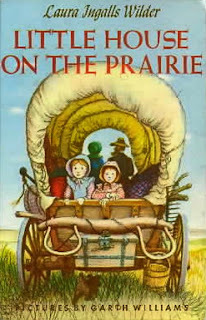 I enjoyed the first book (In Big Woods) better, but I have to give props to On the Prairie as well. heh I didn't read the BSC Little Sister books, but my Little Sister did as I read the BSC books so it was a weird juxtapose. Oh my! I can't believe I forgot to include The Little House on the Prairie books!!!! I devoured those books. My best friend and I pretended to be Mary and Laura all the time. Our moms even made us matching dresses and sunbonnets. Thanks for bringing back such great memories! Loved The Babysitters Club! I didn't get into the Little Sister series that much, but I think that was because I found it just about the time I was outgrowing reading the series anyways. The Little House books are classics too. Little House in the Big Woods was my favorite. 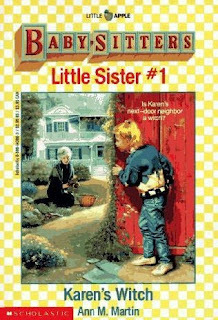 The Little House series and Baby-sitters Club are on my list too! I've never heard of the Zwibble one before, but it sounds cute.